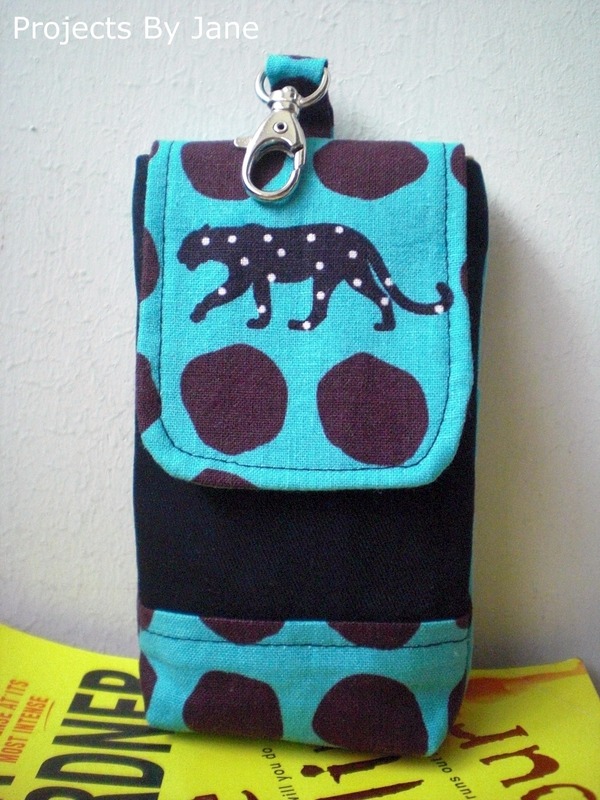 I'm afraid I've been so hooked on beading that I had no energy for my little pouches. I'll be honest. I've never had any interest in making jewellery until a few weeks ago. When anyone talked to me about beads or chains or crystals, my eyes would glaze over. One big reason for my turn-off is my skin sensitivity to certain metals. I'm guessing nickel. Plus I'm quite anti-rust. Beading with thread and beading line is right up my alley. There is very little contact with metal and my skin likes beads. Last week I went with Vivi on a beads shopping expedition. Shopping with Vivi is an eye-opener. She takes you to the best beads shops. If you've worked with beads before, you'll know that there are endless kinds of beads available. I really had a tough time deciding what to buy. In the end, I was quite prudent - investing in some delicas and some accent beads. Btw, delicas are very pricey! The problem with beads is you always have to buy more than you need. Because they're so tiny, you can't count them. You buy them by the grams. 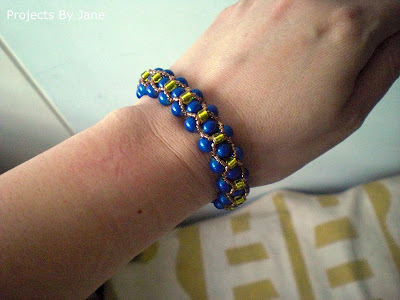 I had leftover beads from my necklace and I decided to use them to make a spiral rope bracelet. As I have more grey delicas now, I used them for the spirals with the teal being the core beads. 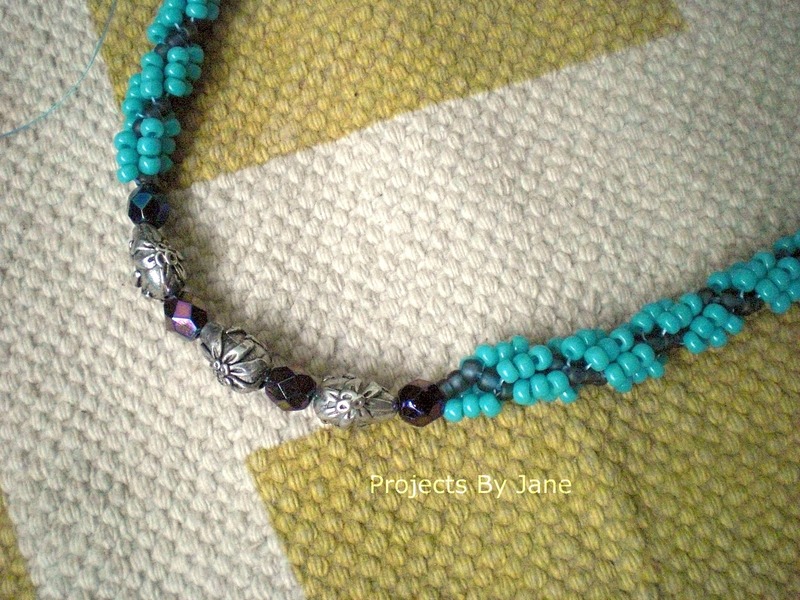 Core beads is really just a term to indicate the beads which create the structure for your project. 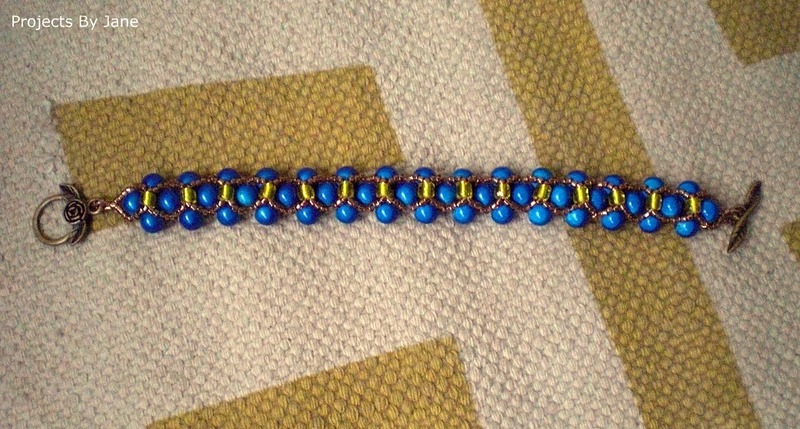 This little bracelet took up fewer beads than I had expected so I have more leftover beads to deal with! I finally completed my Quadruple Helix Necklace - um, make that bracelet. 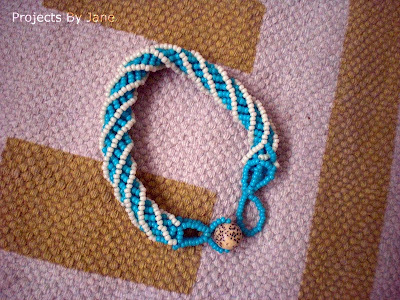 Making this bracelet was a torture. 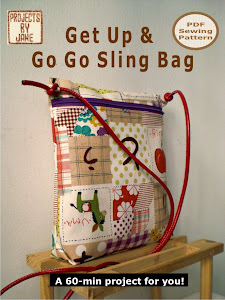 One reason I liked the spiral rope technique is that you just let gravity create the tension needed. All you need to do is hold the spirals in place. The Quadruple Helix technique is the complete opposite. You have to work againist gravity much like pulling the thread like a pulley till it reached the top and then you have to nudged the thread in between the beads. I googled for a tute to make this bracelet but I came up with zero results. Anyway, you're better off not making this bracelet/necklace! 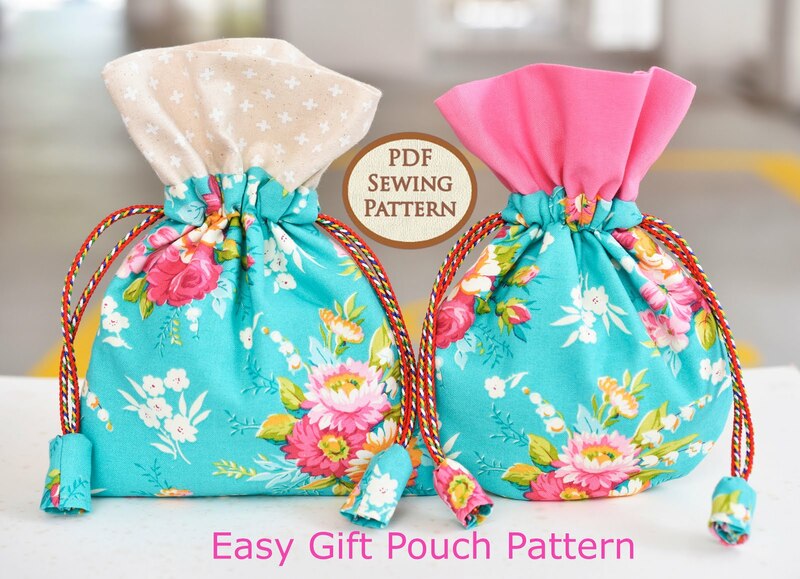 Like bags, one similar consideration for jewellery is closure. 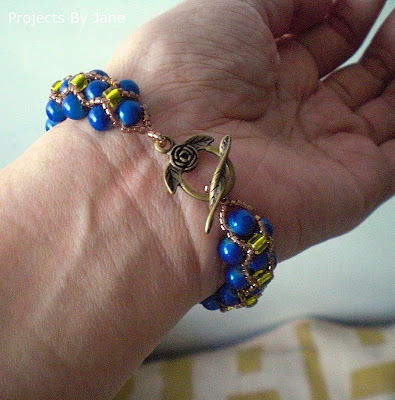 For the Quadruple Helix Bracelet, I used the bead and loop closure. Not exactly my preferred choice for closure but it's a technique which I need to learn. As I do not have much beads supply, I decided to go thru' my drawers to see if I have anything I could use. I was delighted to discover that I have a small packet of these brilliant blue seed beads. I estimated I could use them for a simple bracelet. 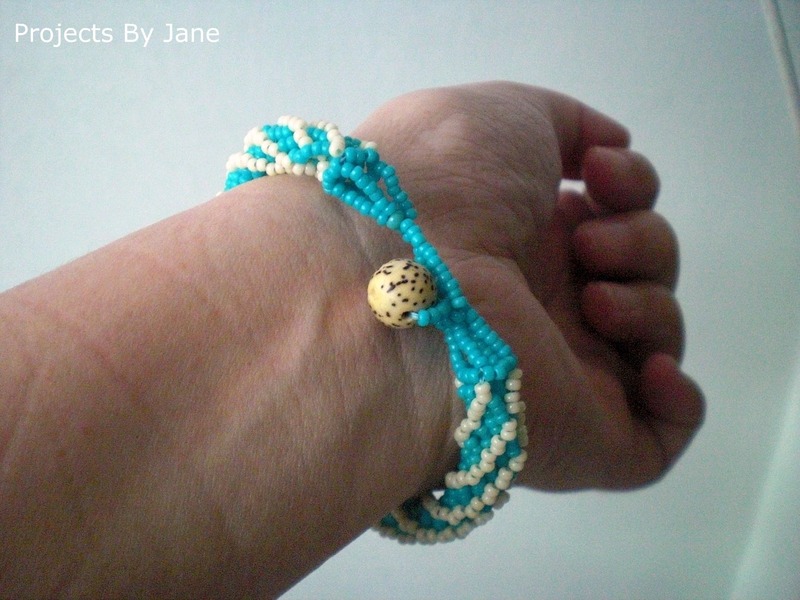 This bracelet is made simply by stringing the seed beads in threes and then criss-crossing the beading line in the 4th seed bead. For this bracelet, I decided to use Fireline beading line which is really strong because unlike the other bracelets and necklace I had made, there are very few reinforcement loops. One very critical component of making bracelets is you need to be precise in your measurements. As I am making the bracelet for myself, I need not take care of lengthening. 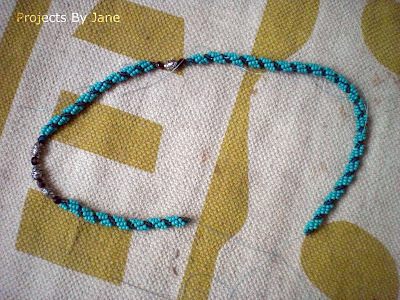 I don't like my bracelet to be too loose so I had to work out the length of the closure really precisely. 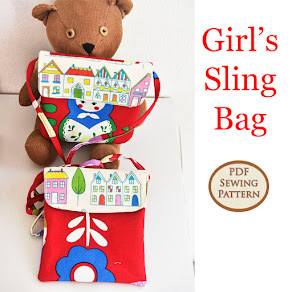 Isn't the toggle clasp darling? See the little bronze delicas crawling all over the blue seed beads? These are anchored to the blue seed beads. The yellow tubes are cylindrical beads which I found in my stash. I'm not fond of them because they are not uniform in size. So you have to sift thru' them which is really awful seeing how small they are. One thing I learnt from making this bracelet? 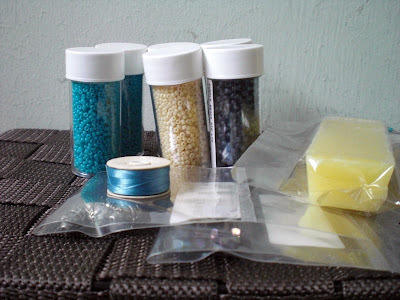 Seed beads (the blue ones) have very small holes. This means you can't have your thread go thru' them too many times. Which is why I used Fireline as your needle won't piece the thread. I'm told that the next step for me is to pick up peyote stitch which is a technique to "paint" a canvas with beads. I've been watching a few tutes on youtube and it doesn't look too hard. More later. 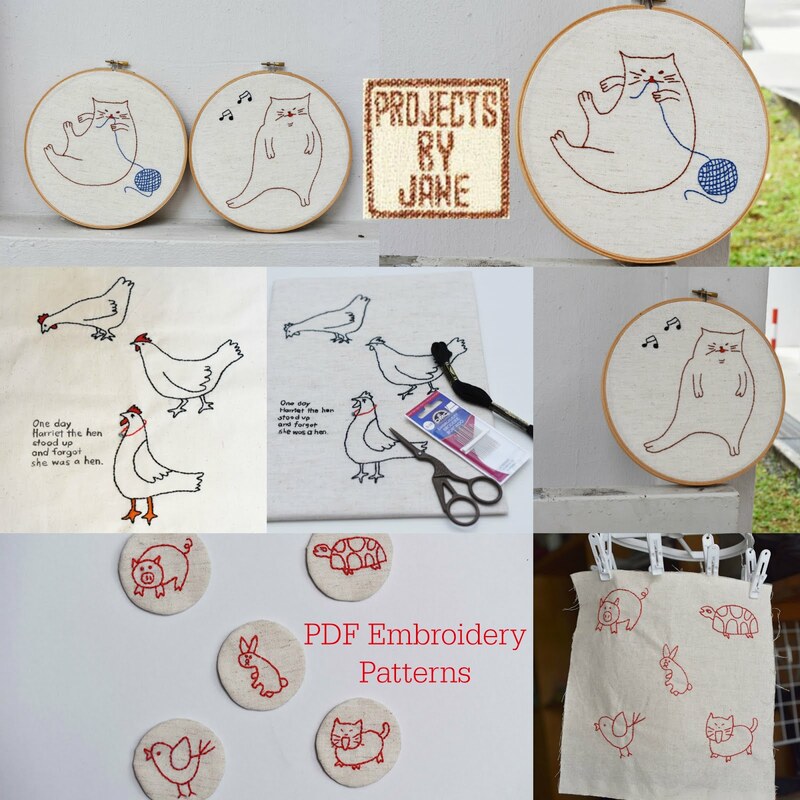 This week I'll be making my next Amy Butler sew-along project and I dunno, maybe another beaded project?? See ya. How was your weekend? I've been in a rut for a while but over the weekend and early this week I kinda feel I'm back on track again. Firstly, I want to boast that I've managed to get back to my regular jogging routine. It's twice a week minimum and thrice if I don't throw a fit. Sewing-wise, I've been really working on my iPhone 4 pouches and I'm seriously happy with the results. 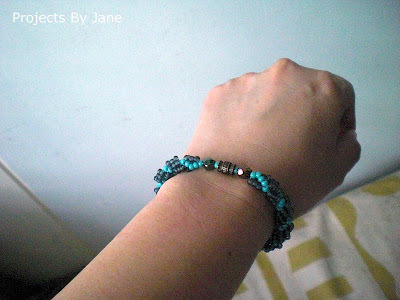 Last but not least, I'm so in love with my new-found love - beading. Check this baby out. My spiral rope necklace is complete. I love it so much. 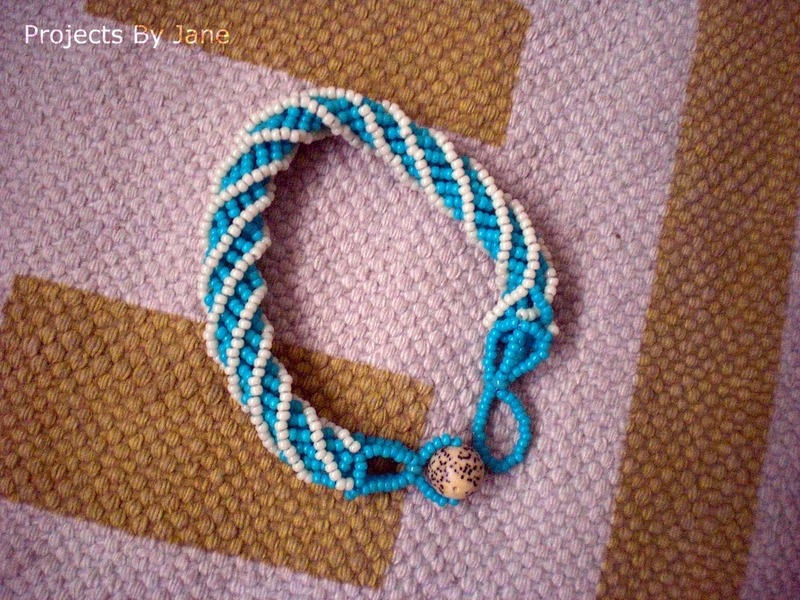 This is the first piece of jewellery I handmade. The beads I used were delicas. They're really just cylindrical beads with large holes. I assumed some of you guys might be interested in making a similar gorgeous necklace and I googled. 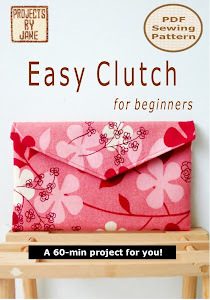 Turned out there is a super easy tute. Go here. This is my next beading project in progress. It's more tedious and not as lovely. It's done mounted on a chopstick. I wanted my next iPhone 4 pouch to have a zip in front and played around with the size. In the end, I went with the size on the right. I made three. If you want to ogle at the Anime pouch, go to my Etsy shop here. Here's one I love most from Pirates of The Caribbean 3. Not long ago, Seth Rogen talked about Singapore on Conan O'Brien. Click on play if you want to hear what he said which upset some Singaporeans. You know - the inaccuracies etc. Me hubs wrote a column about it. Read it here. But all I was thinking was - he mentioned Singapore! I am such a "Singapore Spotting" groupie. Anyhoo, contrary to what Seth said, Singaporeans do get to vote. 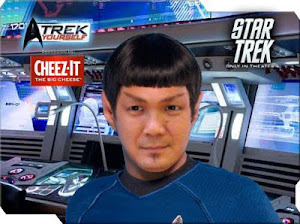 In fact, this May 7th is polling day for Singapore and I'm old enough to vote! Seriously, it'll be my third time? The constituency where I live in doesn't seem to interest the opposition parties so it may very well be another WALKOVER. I will know if my constituency is contested on April 27 Wednesday. If it isn't, I would feel like my vote didn't matter. Now, THAT would upset me. See ya. I've been tagged by Bethany of Sweet Bee Buzzings. In case you're not familiar with this game, what it means is if you want to play along you just have to answer a few zillion questions. But for this handwriting version, you have to write your answers in long hand. 1. What's your name/Blogger name? 2. What's your blogs name/URL? 3. Write "The quick brown fox jumps over the lazy dog." 8. Tag 3 - 5 people. I'll be honest. Usually I don't play along. I've been tagged a few times. (It's an honour just to be tagged!) Psst. Somebody tell me. This does feel like a chain letter, doesn't it? (I've written my fair share when I was a kid.) Anyhoo, this time I got interested because I get to show off my handwriting!!! 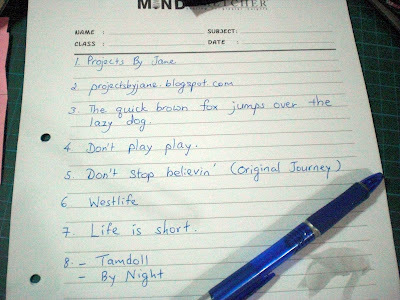 Don't I have the most childish handwriting ever? In school, I often have this remarks written on my exercise books: "Your handwriting is too big." And mind you, this is often written in HUGE, RED ink. 3. The quick brown fox jumps over the lazy dog. I've only tagged 2 persons I feel are most likely to play along or should I say least likely to cause me harm because they live far away. The third person I wanted to tag has a tag-free blog and there's a pic of a dog holding a gun. So I'm playing it safe. Okay, on to more important stuff in my life. My zip pouches. 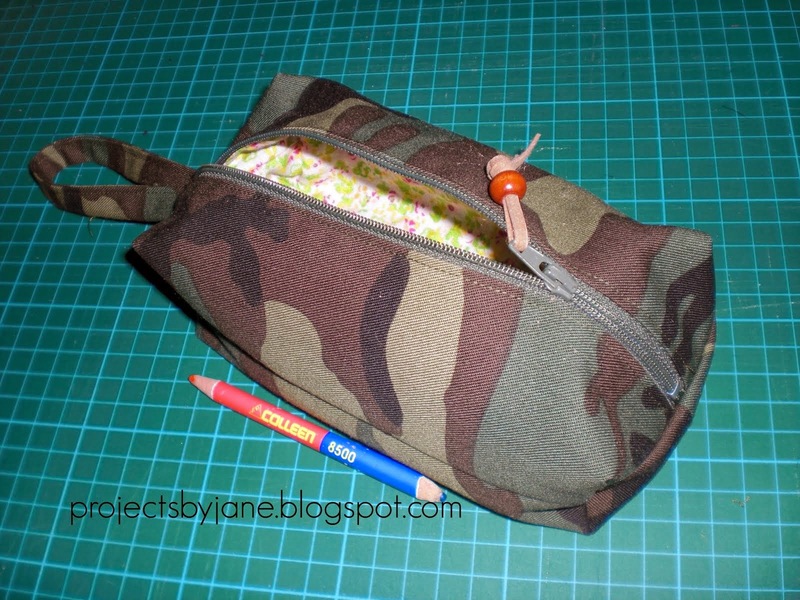 For some reason, I've felt it very important that I make a narrow zip pouch with a curved top. 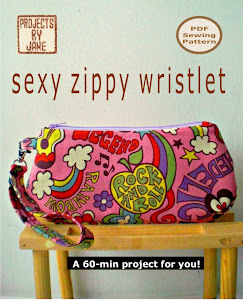 If you have experience with zippers, you'll know that zippers and curves don't go together. 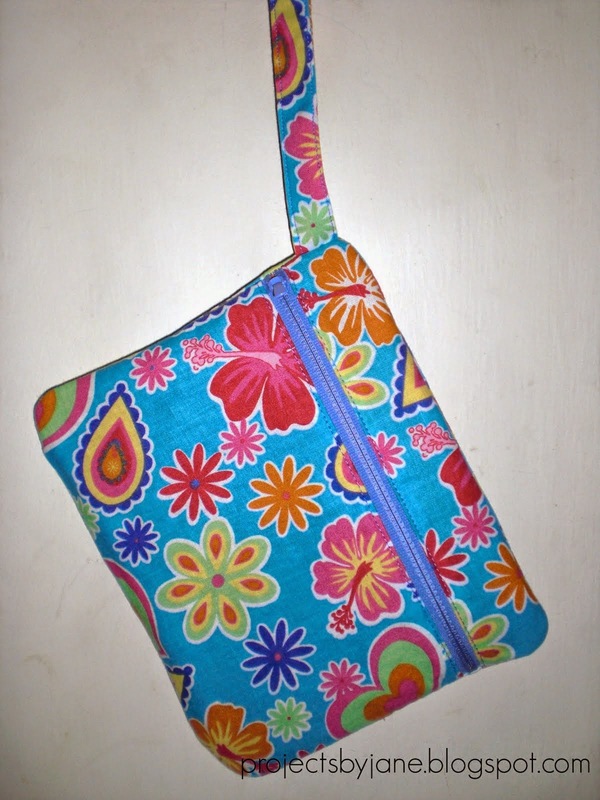 My last curved top zip pouch did not go too well. 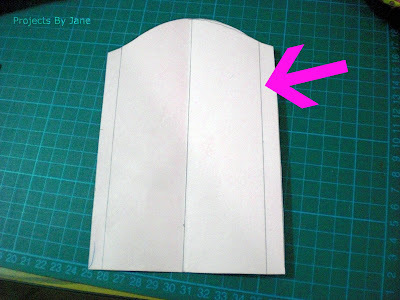 This time around, I made my template with softer slopes at the ends where the side seams are. 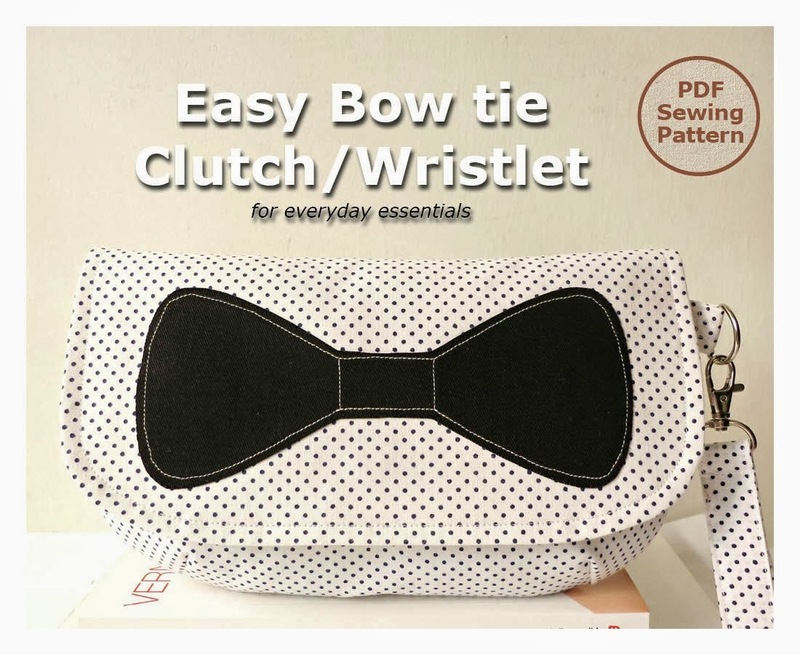 The arrow points to the side seam. The ends of the pouch turned out pretty decent. Just wondering how other sewers do it. If you know of any alternatives, please let me know. See ya. I was so taken by The Giver that I went on to read Messenger which is a loose sequel of The Giver. It is set several years after The Giver and revolves around a boy whose job is much like a postman - he delivers messages. The village he lives in is under threat and he has to save it. The ending is again abrupt, like The Giver. Unfortunately, like most sequels, they disappoint. I think it tries too hard. The Giver felt so innocent and delightful. You know, in another life, I often imagined I was a braider. Now I think it's possible I could have been a beader. No, no, I'm not a believer of previous lives. Just saying. This week I made progress on my spiral necklace. Beading, I've discovered is not that hard. 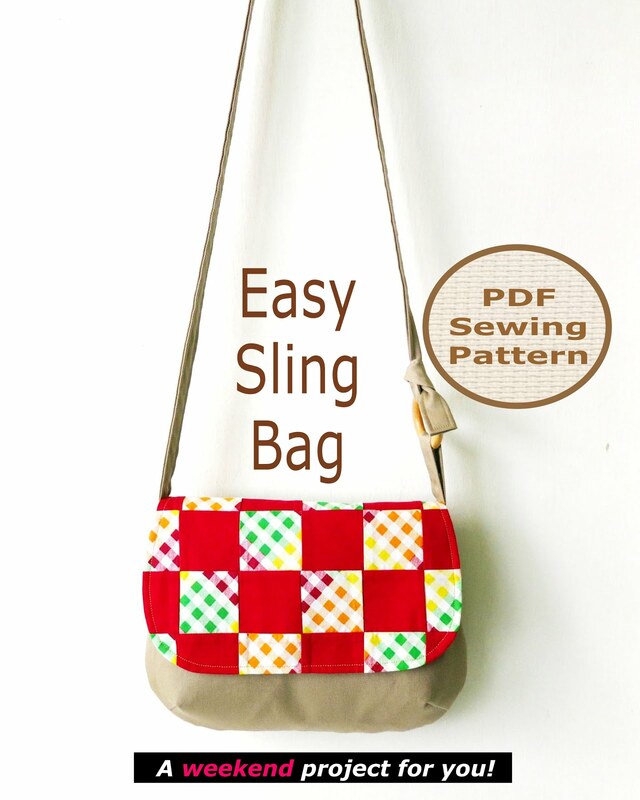 It's much like sewing except you weave the thread onto the beads. 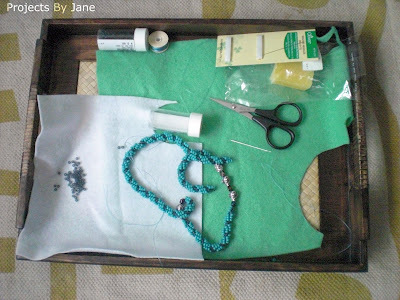 This is my temporary beading tray. It's not really suitable but I don't really want to invest too much in my beading in case my interest dies off. But I must say I really enjoy beading. It needs a lot of patience and is rather straining on the eyes. So I only do a little at a time and I do it when there's good daylight. See this amount of necklace I've completed? It took me 5 hours! An experienced beader would probably do it at a fraction of the time. I made a few mistakes in the beginning and had to undo. My necklace uses a very simple technique. Basically you just have x number of beads on the thread and you loop back thru y number of beads. You keep repeating until you hit strategic spots where you insert decorative crystals or other stuff, the names of which I haven't learnt yet. As I was beading, I thought to myself that I could possibly be making my family heirloom! 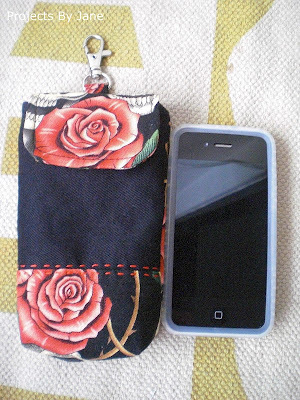 I've made two more iphone pouches with my Echino fabric. You can see more pics in my shop on Etsy if you're interested. See ya. Long before I could sew bags, I was crocheting bags. 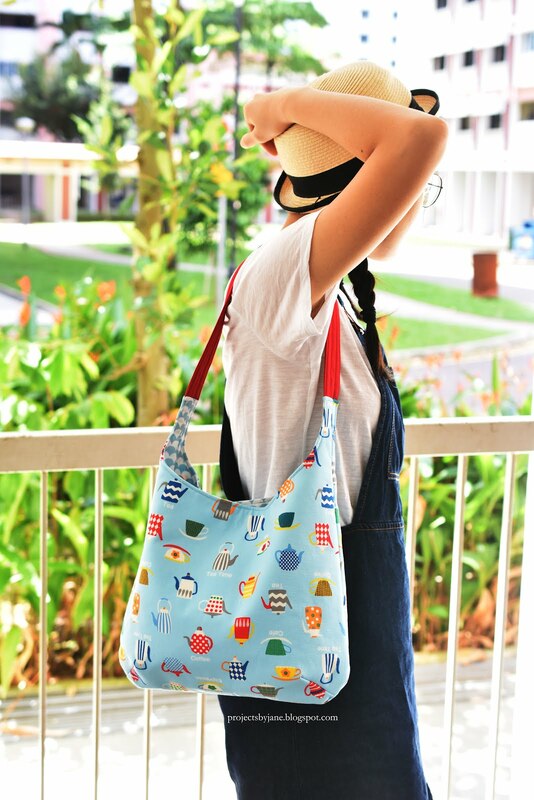 Recently one of my blog friends, Tamdoll asked me about these bags. So I hunted high and low and managed to find two of these babies. 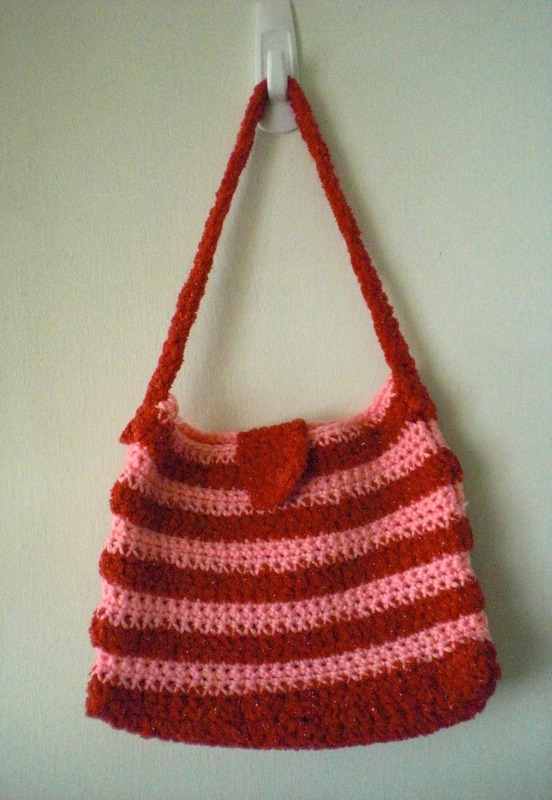 My skills in crocheting is quite basic and once I discovered I did not like crochet "raw seams", I gave up making crochet bags. Yes, I do feel sad about it. 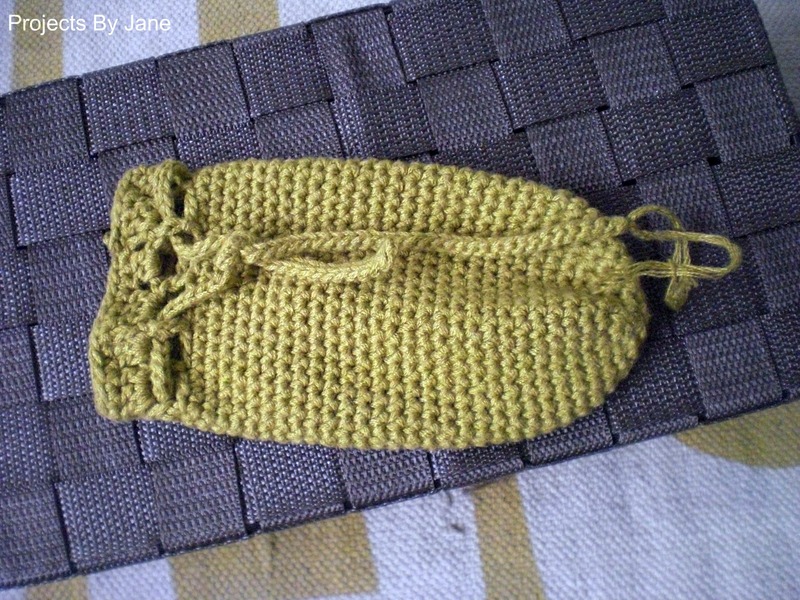 This is a simple drawstring pouch crocheted in a spiral manner. 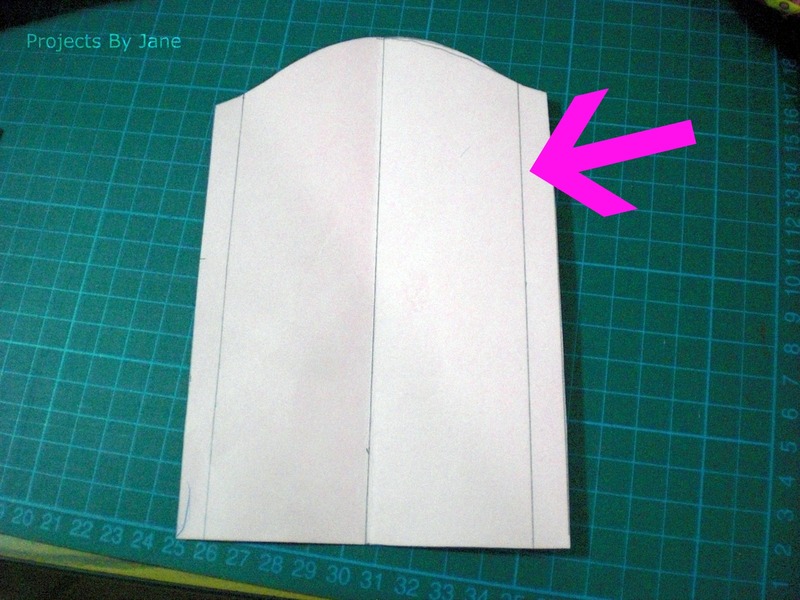 This spiral method does not leave an ugly "seam line" so I'm happy with it. Don't you just love the colour of this yarn? Olive green. What I really like about this pouch is the cord. 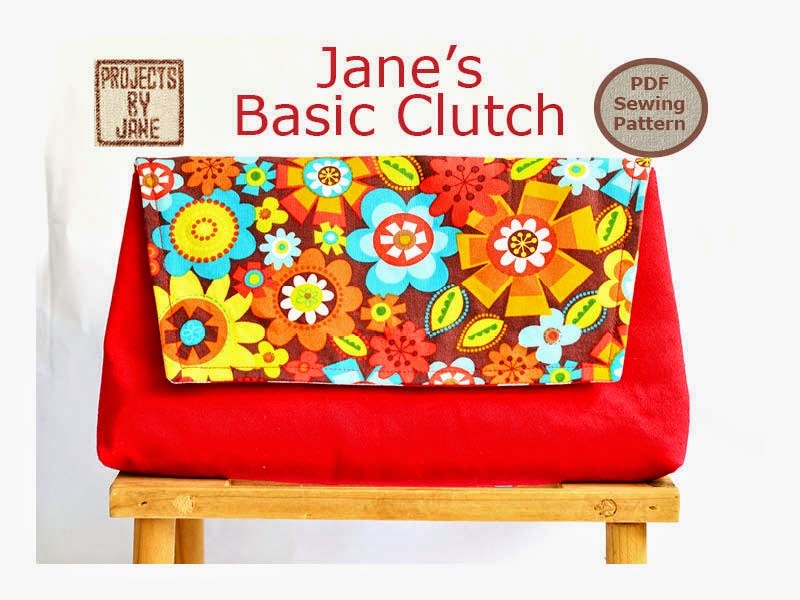 It is made with simple chain stitches one way followed by a slip stitch (or the join stitch?) the other way back. I've never learnt crochet from a teacher so I don't really know the terms. 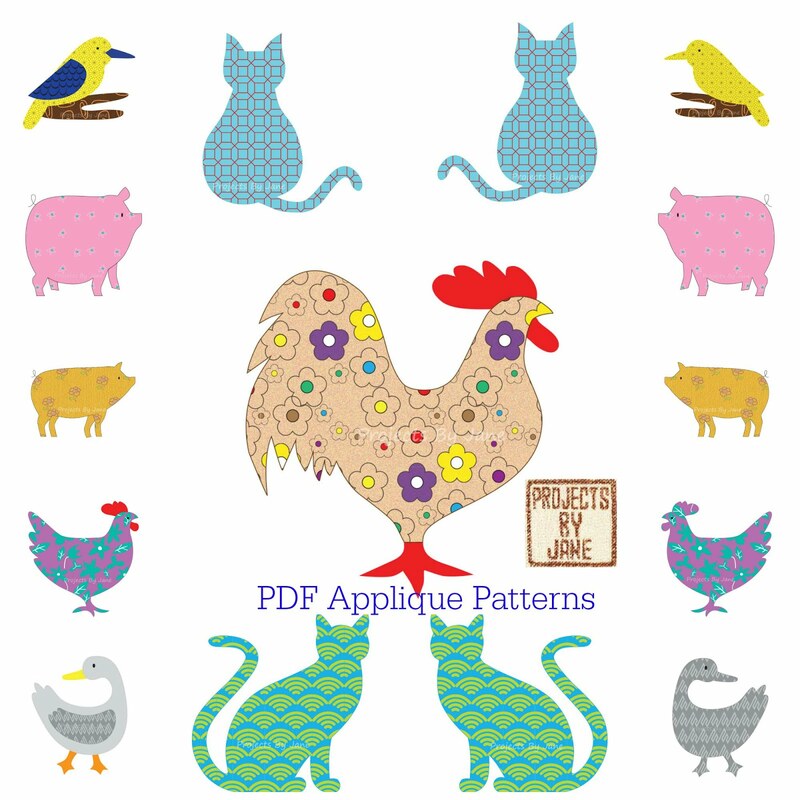 I learnt it the visual way by looking at a pattern. 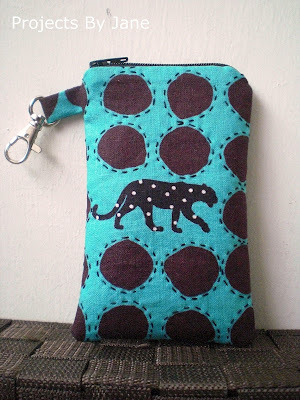 I like the cord so much that whenever I found the excuse to use a cord in one of my fabric bags or pouches, I would crochet one this way. Okay, this bag was quite ambitious. I did not make it the spiral way. 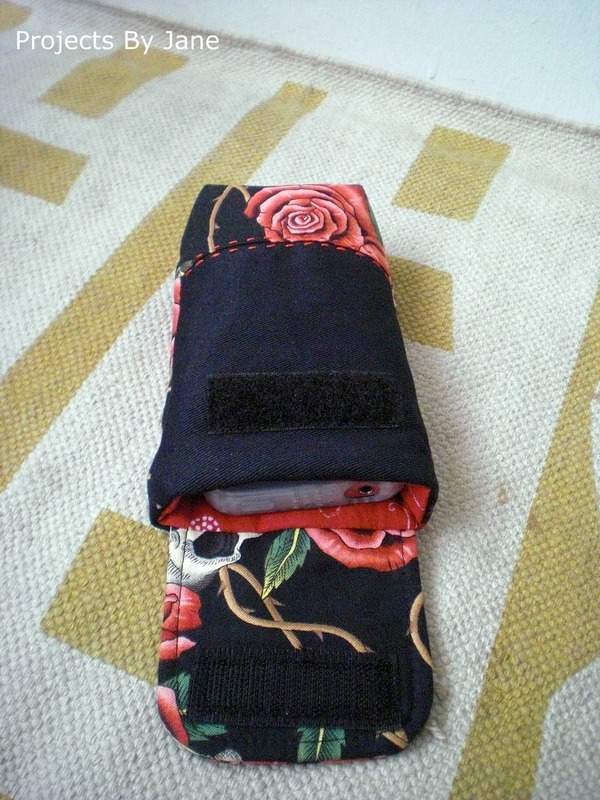 Instead I made the individual pieces and joined them together at the side seams. 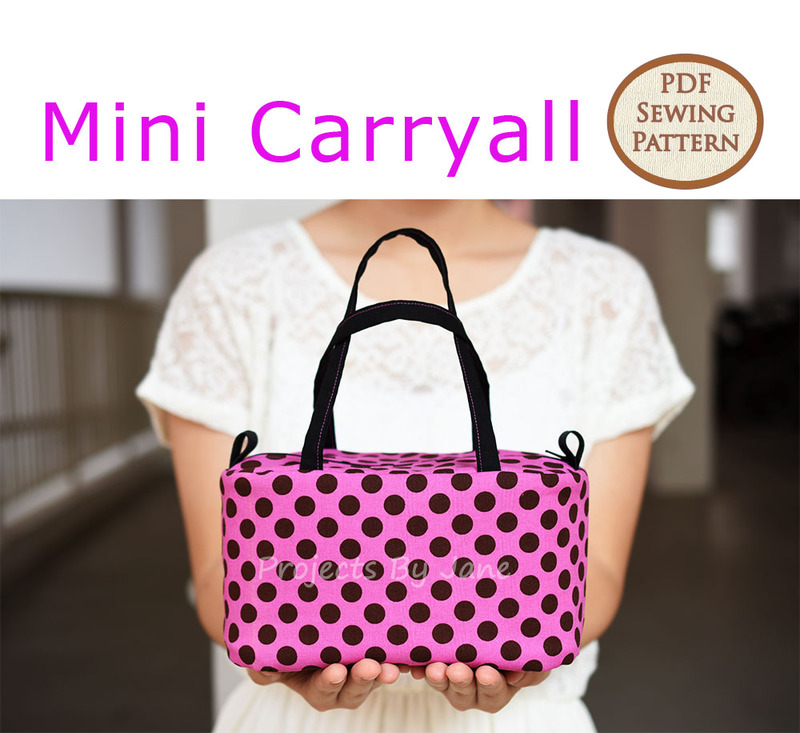 Exactly how you would sew a fabric bags. 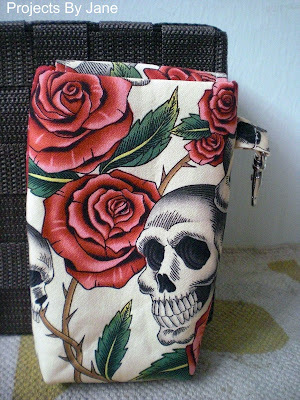 But the result is I have really ugly raw seams inside. Yesterday I went on a beading adventure. I've always had a vague interest in beading but my knowledge never went beyond stringing a few beads together. My friend, Vivi wanted to learn to bead a complicated butterfly from a teacher. So I tagged along and before you know it, I'm officially a beginner beader. These are my supplies for my beading project. 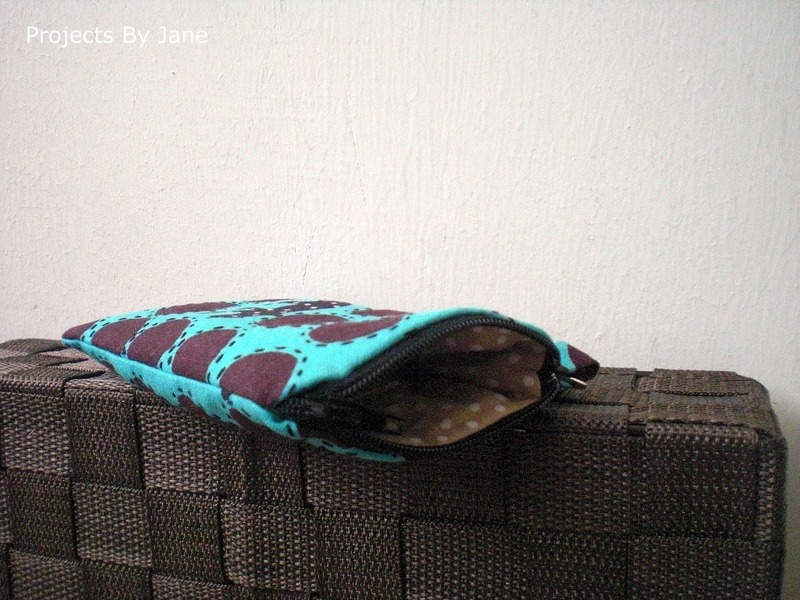 I was of course gunning for a beaded pouch or bag but that's too complicated for a beginner. So it's gonna be a simple necklace. 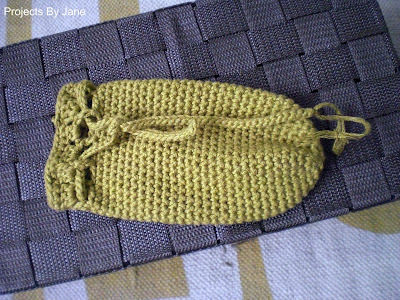 Anyhoo, I discovered there's a class for crochet beaded pouches so I'm really, really wanting to sign up for that too. But first, I have to practise my crochet stitches. 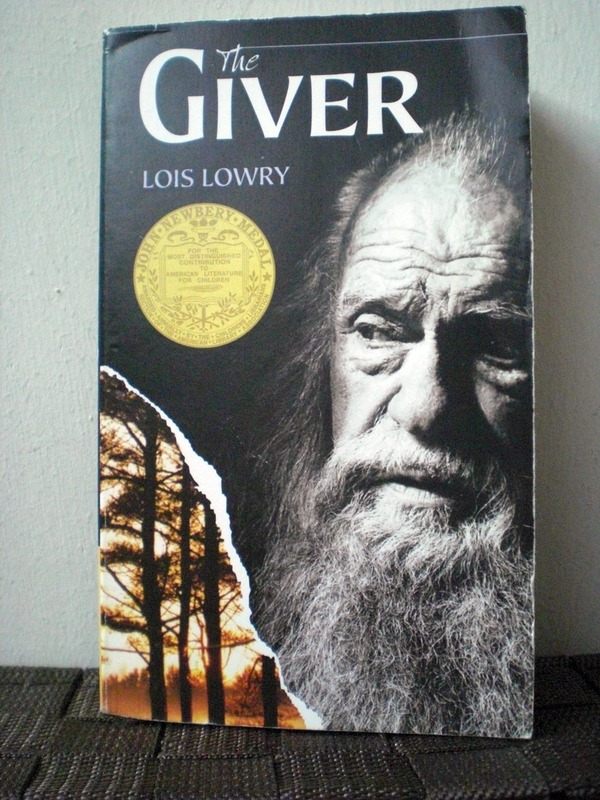 Recently I finished reading The Giver by Lois Lowry. Have you read this book before? My son is studying it for Literature and since I have interest in books, I decided I would read all the books he has to study so we could talk about them. It's a very easy book to read because the story is very compelling. It's about a community of people living a kind-of utopian life where everyone is governed by sameness done thru' genetic engineering perhaps? There is only one eye colour and one skin colour. The people do not suffer pain. Jobs, babies are assigned to the people. Can you imagine being assigned the role of birth mother? You get to enjoy life, give birth to 3 kids and afterwards you become a labourer for the rest of your life. On surface, it looks like a pretty perfect world. But as you read more, it is revealed that it is a world robbed of choices, senses (colours, ability to hear music) and the ability to know any better. The main character is a 12 year old boy, Jonas who has the gift of colours meaning he can see colours and he is chosen to receive memories of the past from The Giver. Once Jonas starts to receive the memories of the past, he realises that his people are governed by lies and he decides he wants to help his community change. There is no neat ending to this story and you have to figure it out for yourself. My son asked me why Jonas chose the world where you could feel pain over the world of sameness where you don't feel pain. My answer: I believe it wasn't pain Jonas chose. He chose a world where choice, emotions and basic human rights were respected and pain is a price you pay for it. I have realised that literature is not as easy as it was in my days. 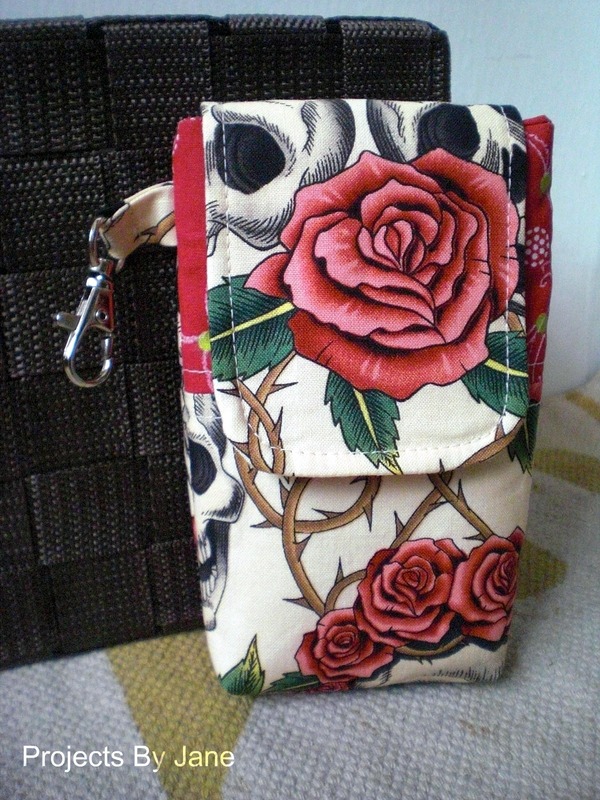 I made another iphone pouch with another skulls and roses fabric. 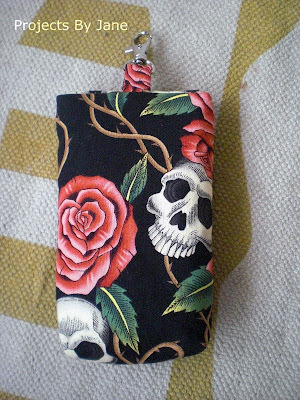 Me hubs asked me why I don't put the skulls in front. 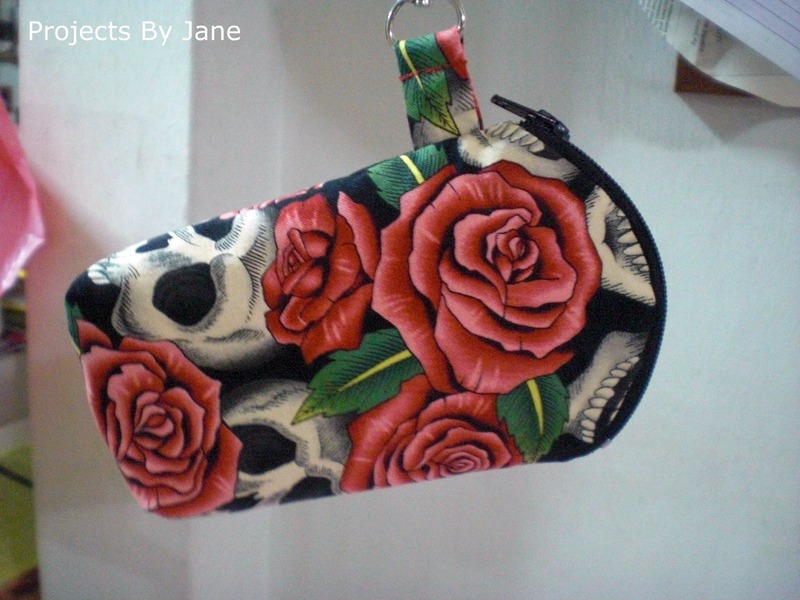 Well, the skulls are rather creepy and I was making it late at night. That's why. The next time I make another one, I'll do it in the day and put the creepy skulls in front. See ya. I'm still here. I haven't abandoned you. 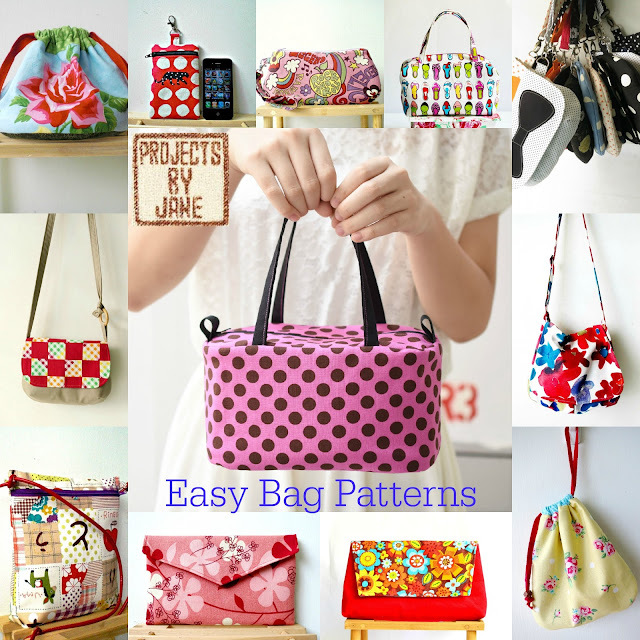 I also haven't been working on my bags much. I'm now in a place called in-between. Or some people might call it - lazing around. 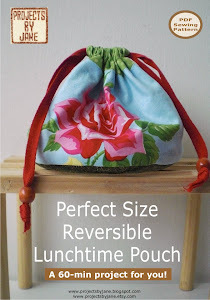 With no looming deadlines, I find I can easily pass the day without even sewing a stitch. 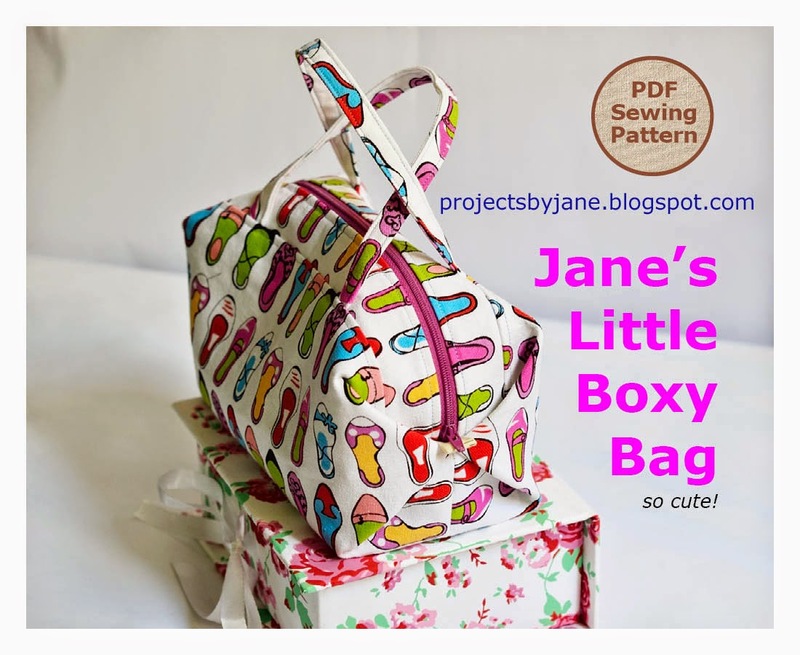 It was quite strange at first as I've been literally sewing nearly every day for more than a year except for a few planned short breaks now and then. 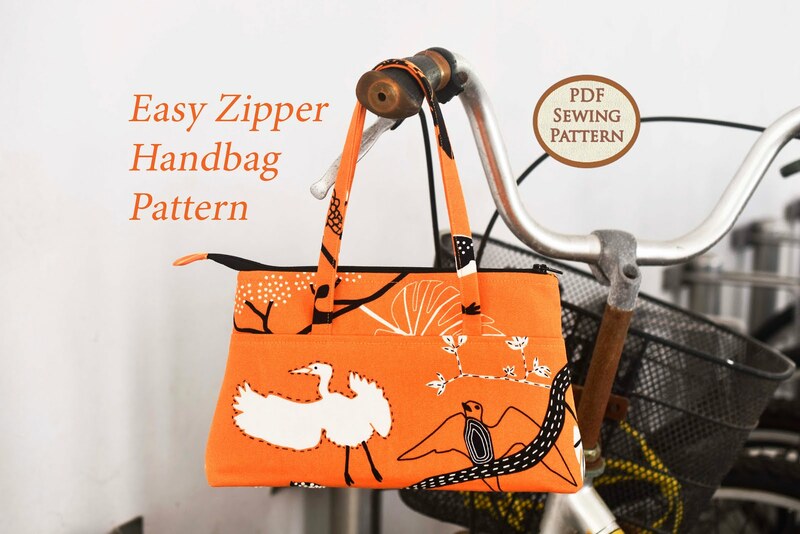 But soon I got used to it and before you know it, I somehow cannot imagine sewing like a maniac anymore. Oh, how easily one can get used to staying lazy. 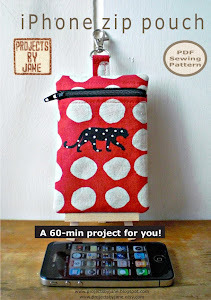 On Sunday, I did summon up the required motivation to make a tall zippy pouch. 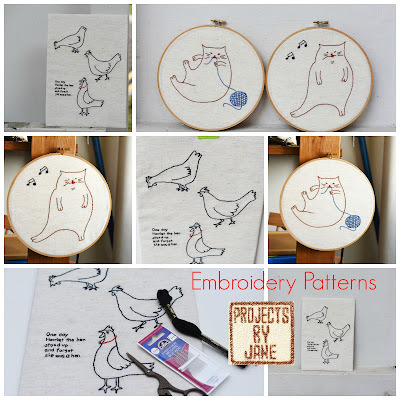 I wanted to make it interesting for myself so I sewed little circular running stitches for a quilted look. 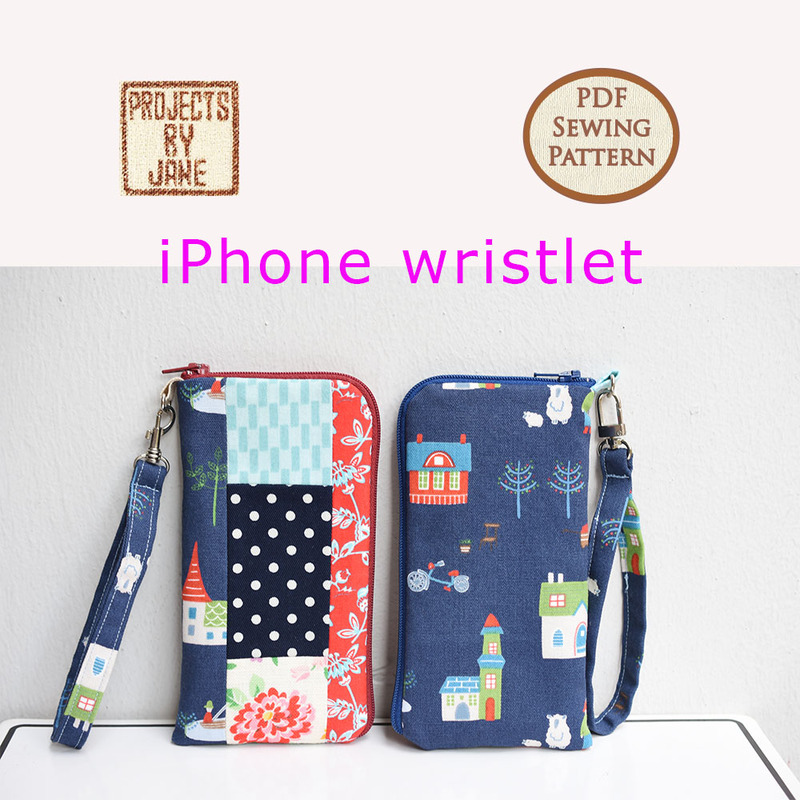 I have only a tiny portion of this lovely Echino fabric left. I won't be buying any more as the price has shot up by too much. Grr. Ever since me hubs bought an iphone, I've wanted to make an iphone pouch since I have it for measurement. When the iphone was still a novelty to me hubs, I would be awakened early in the morning to the sound of him trying out all the ring tones! If I weren't too sleepy, I would punch him. 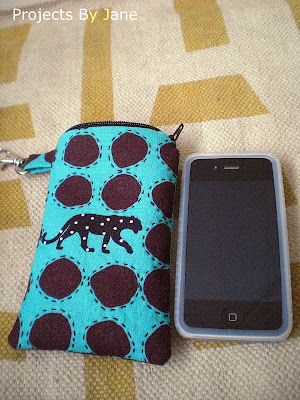 I didn't make this zip pouch for an iphone but as it turns out, it fits. If I were to make a zip iphone pouch, I would probably widen the zipper opening. 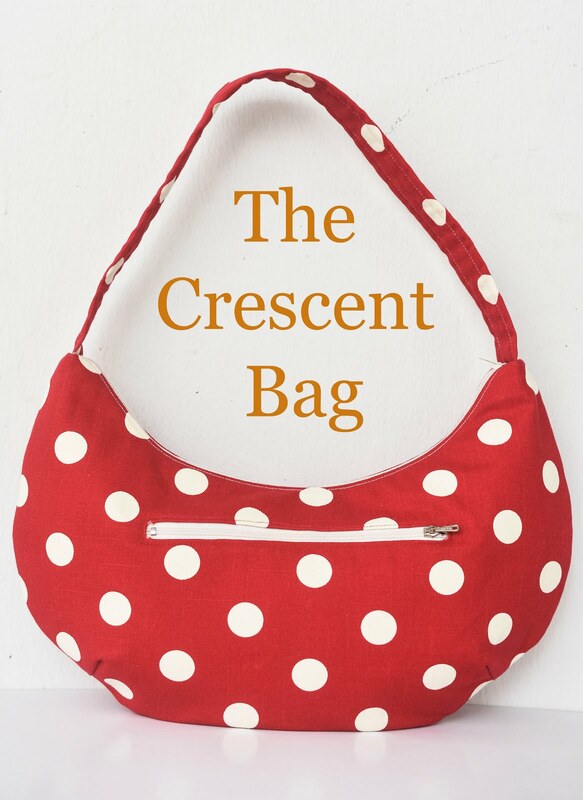 I couldn't resist putting spots in the lining as well! 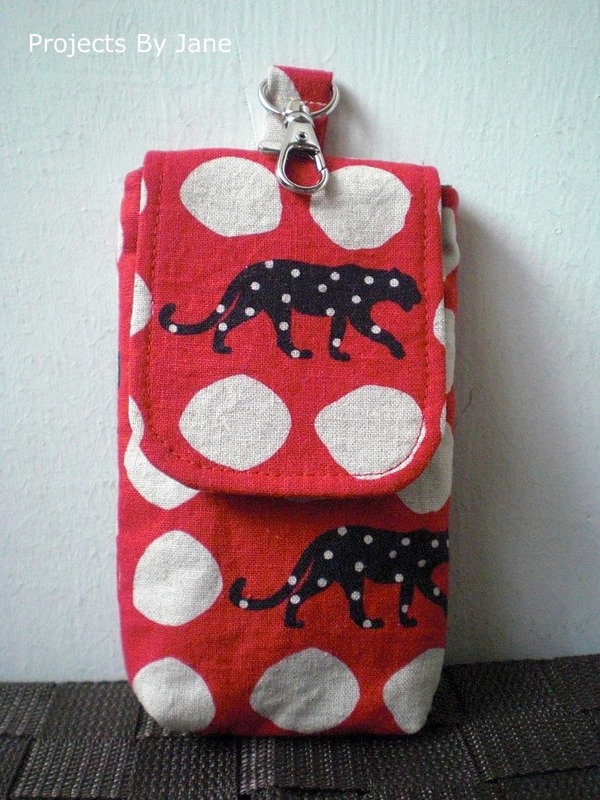 Anyhoo, I was thinking about making an iphone pouch and I went for a flap/velcro kind as I think that's the most practical. I think the sizing is perfect. The iphone actually has a rubber casing for protection so it's slightly thicker than a nekid iphone. 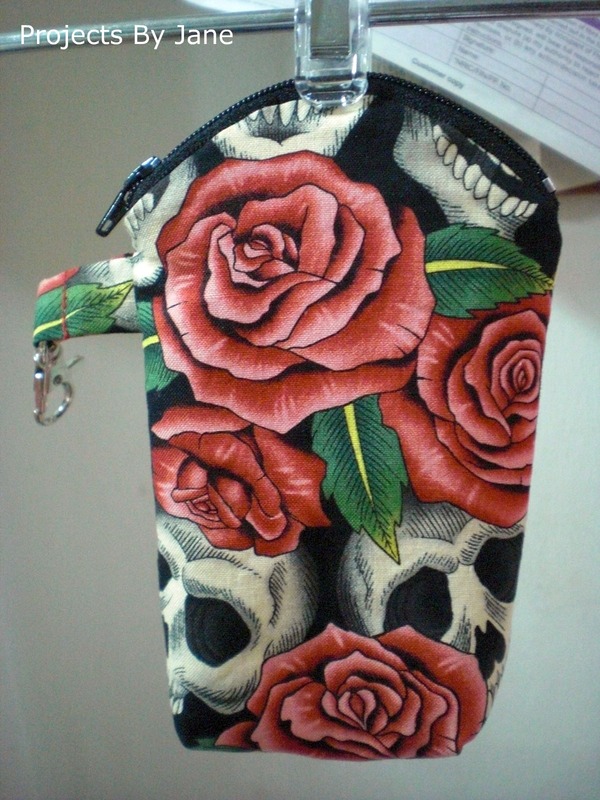 I managed to put in earphones in the pouch as well. 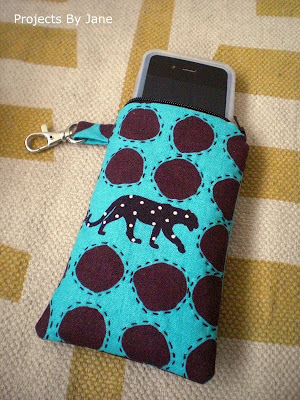 One thing I've noticed about sewing this iphone pouch is that suddenly you feel like a giant with too many fingers. 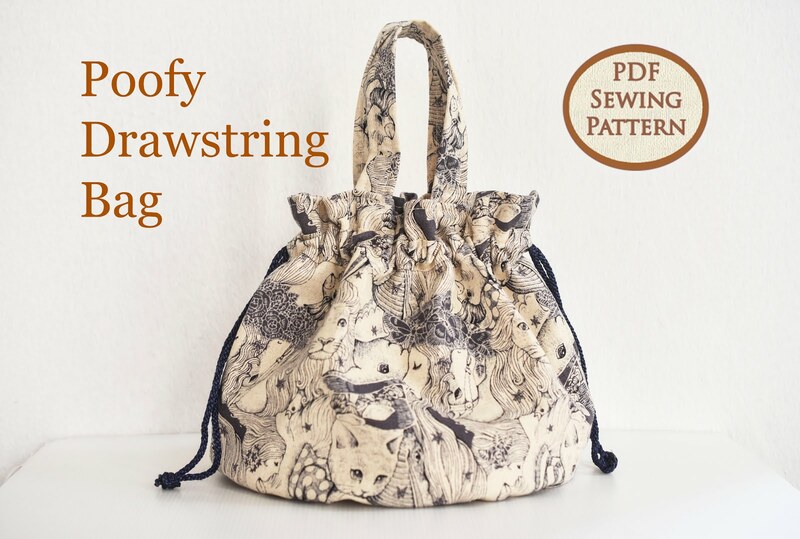 For one thing, you can't use the free arm to sew the top of the pouch. So how do you do it? 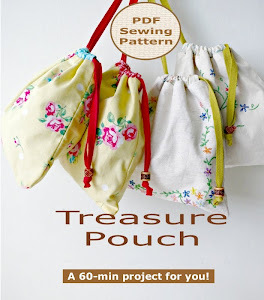 You squeeze and you curse and you try your best not to sew on your fingers! 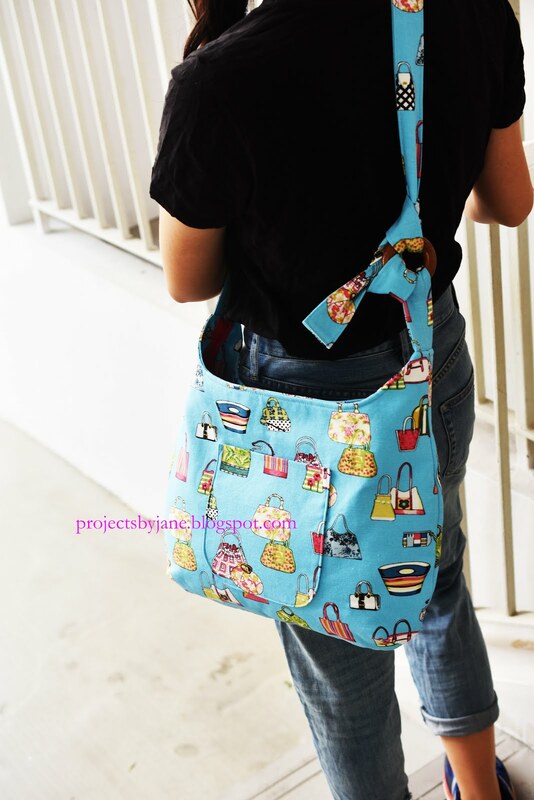 Plus I did not topstitch the top because I don't think that's humanly possible unless you hand stitch. 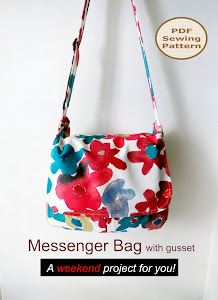 Okay, on something unassociated to sewing. I'm just dying to relate an incident to you. It's rather mean so don't read if you can't take it. Do you watch 30 Rock? In a recent episode, Liz Lemon was told by her boss, Jack Donaghy that she had tucked her undies into her shirt, again. When watching that joke scene, I was thinking that can't possibly happen in real life. I mean, who does that? Well, what do you know? I was at Ikea one day last week during lunch hour, alone. If you have dined alone during lunch hour at Ikea with no one to reserve seats, you'll know the only seats available are the high ones much like a bar counter. So I sat or rather perched on the high, high seat and started to eat my peppercorn salmon meal. Across me at another bar-style counter sat 2 men, one of whom had his back facing me. You understand that my guy was sitting on a high stool. I almost choked on my peppercorn salmon when I saw sticking out of his pants were his undies with his office shirt tucked neatly into. YES! As it turns out, people do tuck their shirts into their undies and I now know that for a fact. Lest you think I'm a raving pervert, please KNOW that I don't go out looking for underwear malfunction. These situations just present themselves to me. So, my guy and his friend sat across me thru'out my meal. They talked and talked. Occasionally, my guy jiggled his arms, I'm guessing demonstrating his dancing prowess to his pal. To be honest, he's not a bad looking guy, from the back. That is, if you can look past his undies poking clearly out of his pants. He has a pretty trim body. I could not see any tummy fats at all! He dresses daringly - pink checked long-sleeved shirt with dark coloured pants. Plus teal undies. Well, I tried my best not to stare at his you know what. Plus, I needed to eat and the sight of the teal peeking out would send me into tears. Mercifully, my guy decided to leave. He stood up tall and happy, thinking everything is alright with the world. As he walked away, I could see standing proudly out of his pants the darn teal undies shifting left and right with every stride he made. Mister, next time don't let your mama dress you! Told you it was mean. See ya.